The City of Wilsonville is now accepting project nominations for the Wilsonville-Metro Community Enhancement Program, which offers local stakeholders an opportunity to seek funding for projects beneficial to the community. Eligible projects can improve the appearance or environmental quality of the community, increase reuse and recycling opportunities or improve recreational areas and programs. or other organizations submitting a sponsored-project nomination. Proposals are evaluated by the Wilsonville-Metro Community Enhancement Committee, composed of four community members (Purity Case, David Davis, Amanda Johnson and Jimmy Lee), two City Council members and Metro Councilor Craig Dirksen. Award announcements are expected in early spring. Funded by a per-ton charge on biodegradable solid-waste, the Community Enhancement Program is provided to all cities with a waste-transfer facility, including the Willamette Resources Inc. facility in Wilsonville operated by Republic Services. Metro estimates about $90,000 in community enhancement funds are available to Wilsonville to support projects that "rehabilitate and enhance" city areas. Funds may be distributed annually or accumulated for up to three years to underwrite a larger project. Projects, which must be located within city limits, are funded to start on or after July 1, and must be completed in two years. Project goals can include: Improving the appearance or environmental quality of the community; reducing the amount or toxicity of waste and increase reuse and recycling opportunities; upgrading property owned or operated by a nonprofit organization, preserving or enhancing wildlife habitat, riparian zones, wetlands, forest lands, and/or improving the public awareness and access; expanding recreational areas and programs benefiting underserved populations. A wide array of projects have been funded in recent years, including the development of a community Arts, Heritage and Culture Strategic Plan, the Memorial Park dog park renovation, the "Bee Stewards" pollinator improvement project and many others. 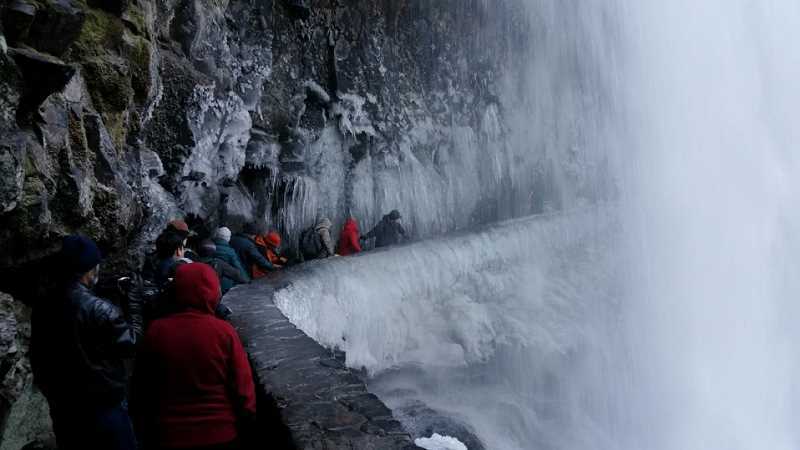 Oregon Parks and Recreation Department (OPRD) invites Oregonians outdoors on New Year's Day for the annual First Day Hikes event. Visitors can choose from 32 hikes in 31 parks across the state. All hikes will be guided by a park ranger or volunteer who will share stories about the park's history, geology, wildlife and plants. Hikers can register for specific hikes online at the Oregon State Parks Store: bit.ly/ParkStoreEvents. While online registration isn't required for participation, visitors are encouraged to register. It helps park staff plan the hike and provides them with participant contact information should hike details change. OPRD has sponsored First Day Hikes annually since 2012, part of a larger national event organized by America's State Parks. The Red Cross Cascades Region is seeking nominations for its annual Hero Awards celebration, honoring ordinary people who have done extraordinary things in our community. Heroes will be honored at the Cascades Region's 22nd Annual Heroes Breakfast in Vancouver, Washington, on Friday, March 22, 2019. Nominees must reside or work in the Cascades Region (Oregon or SW Washington) or the heroic act or humanitarian service must have occurred in the region. The heroic act must also have occurred in the 12 months preceding the nomination deadline (December 15, 2018). Nominate a hero by filling out the online form located at redcross.org/Heroes 2019. Award winners will be chosen in January by the Red Cross Cascades Region Hero Awards Selection Committee. Winners will be announced in spring of 2019.